CCA Kids Blog: Links of Love is Friday! 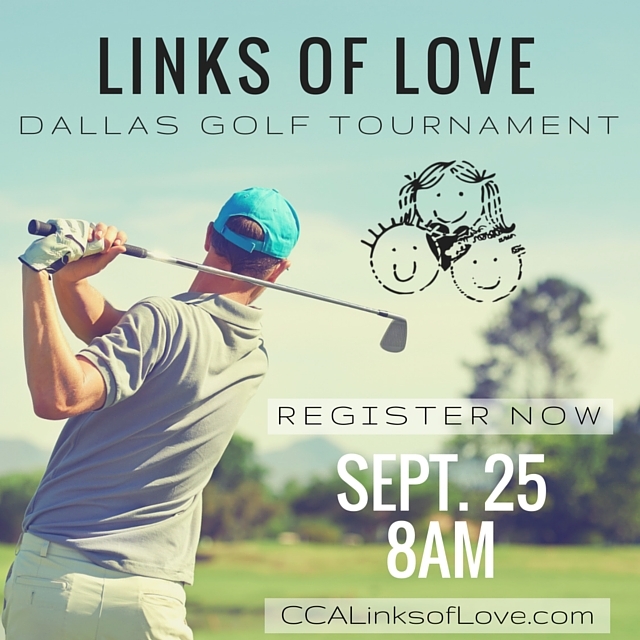 There is still time to volunteer, play, or sponsor the 8th Annual Links of Love golf tournament. We are looking for registration volunteers (arrive at 6:15am) plus interested teams of four golfers. As always, door prizes & silent auction items will help make the tournament an even bigger success. Thank you! Hope to see you Friday morning at Bear Creek Golf Course!